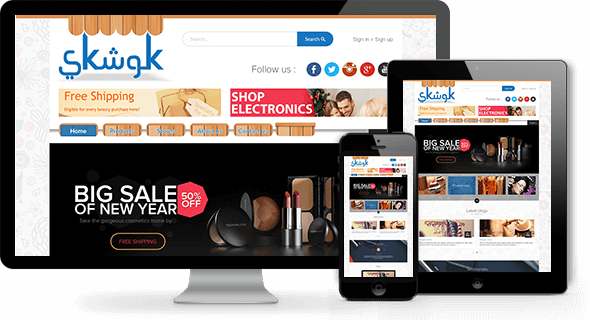 The concept of the website is to create an online marketplace site where buyers and sellers come together for the business purpose. Sellers open their shop online and add products in relevant categories available. Buyers find those products by browsing through the categories and contact sellers. Although the actual buying and selling doesn’t happen through the website as a buyer has to contact a seller for buying that product. Website does not deal with any money related transaction. Buyers will contact the sellers through the website, if they want to buy a product. Easy registration process for both the sellers and buyers. Create and manage online storefront. User-friendly back-end to manage product categories. Design management for the Arabic version of the website. Management of dynamic categories in English and Arabic.